LELOs Personal Moisturizer is specially formulated to enhance the enjoyment and comfort of intimate activities. This long-lasting water-based formula moisturizes with aloe vera, making it suitable for use in almost any situation you desire. Glycerine free, paraben free, and fragrance free, it is a safe and satisfying addition to any sensual experience. Furthermore, LELOs Personal Moisturizer is non-greasy and non-staining, ensuring that nothing comes between you and your desires. Body-safe ingredients. Glycerine-free, paraben-free and unscented. pH balanced for the skin. Fortified with Aloe Vera for long-lasting moisture. Water-based formula is non-greasy and non-staining. 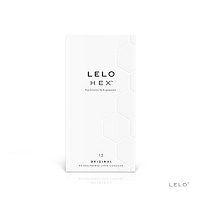 Safe for use with all LELO products and latex.